There was little doubt that when the hunting party with a 62-year-old member of one of Canada’s most remote legislatures went missing that the group would likely survive. With years of survival knowledge Paloosie Keyootak, who represents his constituents in the Nunavut legislature, led his 16-year-old son and adult nephew through the nine-day ordeal in the Canadian Arctic. They managed to survive on the snowy tundra by building an igloo with a knife and eating a caribou they shot, according to multiple news outlets. It all started when the crew took a wrong turn in a snowstorm on their way home during a 500 km snowmobile trip. That combined with a faulty GPS had them travelling the wrong direction for two straight days. Once they realized the error, they did not have enough fuel to return so they decided to hunker down and survive. Keyootak was able to construct a snow shelter with his knife. During the day they stayed warm by moving about, and at night they slept as much as possible. Temperatures reached -30 Celsius. In addition, the group was being stalked by a large male wolf. They had two snowmobiles and supplies, but after eight days they started to run low. That’s when they shot a caribou. It was challenging enough to give even this seasoned outdoorsman a good scare. “I prayed to be found. 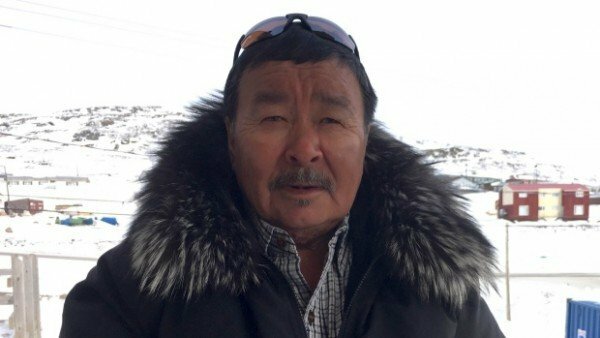 I prayed and prayed and I yelled ‘Amen!’ and then I heard a plane,” Keyootak told the CBC in Inuktitut. Search crews said they were relieved to find the hunters, and that they believed from the outset they would be found alive.